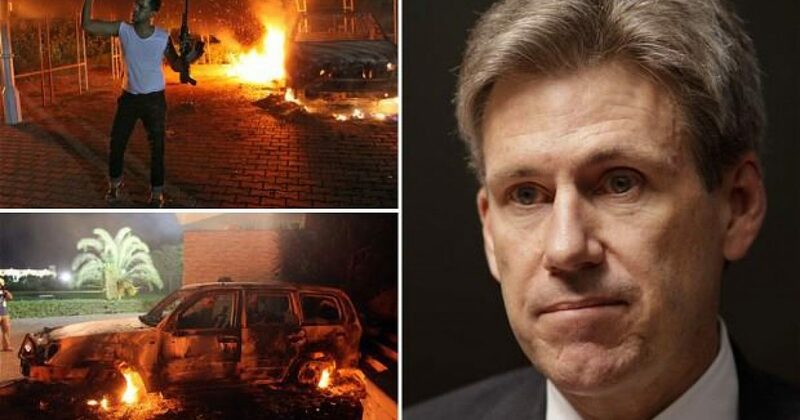 All of America has seen the horrific pictures of Ambassador Chris Stevens being drug from the Benghazi compound on September 11, 2012. But now an al Qaeda terrorist, Abdallah Dhu-al-Bajadin, has posted online that the Ambassador was murdered with a lethal injection in a kidnapping gone awry. The posting has not been authenticated nor confirmed, however, the FBI and State will not contradict the assertion. 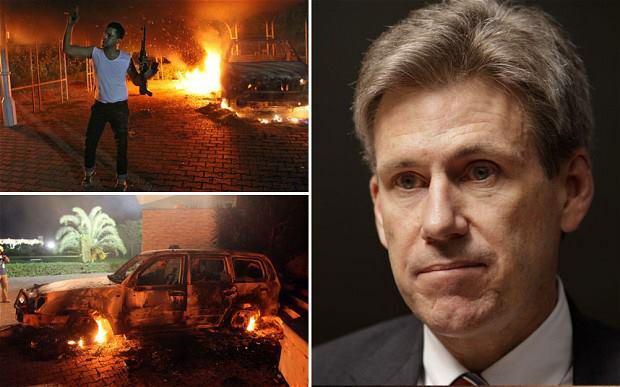 To date, no official cause of death for Stevens has been made public, although it was reported that a Libyan doctor who examined Stevens said he died from apparent smoke inhalation and related asphyxiation. However, according to the March 14 posting on an al Qaeda-linked website, Abdallah Dhu-al-Bajadin, the al Qaeda weapons expert, stated that Stevens was given a lethal injection and that the injection was overlooked during the medical autopsy. Dhu-al-Bajadin’s claim of assassination also stated that it had been copied to the Ansar al-Mujahidin website from the closed and al Qaeda-accredited website Shumukh al-Islam. That site is only open to members and was initially posted by a member identified as Adnan Shukri for Dhu-al-Bajadin. The reference to Shumukh al Islam has boosted the credibility of the claim among some U.S. intelligence analysts. A western intelligence official said Dhu-al-Bajadin is a well-known jihadist weapons experts and a key figure behind a magazine called Al Qaeda Airlines. The Washington Free Beacon obtained a copy of the translation of Dhu-al-Bajadin’s posting in Arabic. “Anyone who studied the art of silent assassination that spies applied during the Cold War would easily identify these parts of the body,” he said. America waits for answers concerning Benghazi. What was Obama doing during the initial and subsequent attacks on the US Installment at Benghazi? Why were there not more assets in place to protect the compound which had essentially “mall security”? What was the actual cause of Amb. Stevens’ death? And sorry Hillary, after all this time it DOES matter: the sovereignty of the US Installments world-wide and the protection of Americans matters dearly. We want answers, and we will NOT be silent until justice is done. The memory of the Bengahzi four–Chris Stevens, Sean Smith, Ty Woods and Glen Doherty– deserves no less.